I live in clutter. I’m positive it is not good for my health because the dust bunnies make me sneeze when I sort through stacks of boxes yet to be unpacked from my move a year-and-a-half ago. A nd my back goes into spasms when I bend to pick up the clutter without using my leg muscles. I tell people (and myself) that my clutter is organized; that I know exactly what is in every stack, box, shelf and desk drawer, but in truth I don’t. I have an idea, but that’s all. And I know in my heart that the clutter is unhealthy and not good for my well-being. This I know, because when I take the time to clean up I feel the rewards, even when they may be embarrassing. Years ago, when I was a young mother of two, we celebrated a birthday party for my two-year-old. Back in those days, birthday parties were at homes, not places. I worked like a dog, as the saying goes, cleaning my house, going through piles of papers, projects, crafts, toys, etc. to clear out the clutter. One table (an antique chest) in my kitchen was a catch all for most of the junk. I happened to walk up from behind to find my two sister-in-laws standing in front of the chest. They were commenting on the fact that they had never seen the top of the trunk. I laughed and said, “I heard that.” I was hurt, but only for a second; for it was true and they meant no harm. 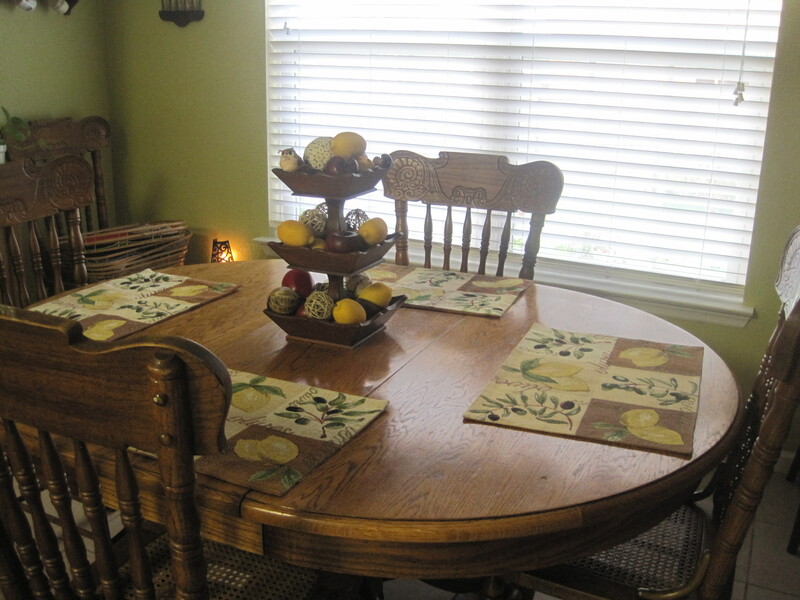 Just like my seven year-old granddaughter did not mean to hurt my feelings when she walked into my house the other day and said, “Mimi, you cleaned off the table.” I had been using the table in the kitchen for some projects and it had been weeks since I had cleared it off. I laughed and asked her to help me with the centerpiece, an antique wooden compote that belonged to my mother. If we don’t take the time to clear out the clutter in our life, then we are not letting people see the real us. And now in my age of wisdom, (baby boomer years), I’ve come to realize that clutter is a metaphor for hiding the real me. I need to wake up and let people see who I really am. I might just be surprised to see how anxious they are to see who I really am! You know that it is every person’s dream to be liked and appreciated for who she is and not necessarily for what she is or for how she makes her living. On August 6th a great lady passed away, my great-aunt. For some, she is in heaven with God and all the family and friends that died before her. For others she is still with us in spirit, along with a cloud of witnesses that make us who we are. It doesn’t matter what your particular religion teaches you to believe about death, what does matter is that we celebrate her life each day. What does it mean to be the oldest in a family; what responsibilities does that mean for a person? For this woman it did not mean that she knew she would out-live her husband and sister-in-law, the last two children of her father-in-law, the patriarch of our family. But she did and it was a good long life, ninety-two years. 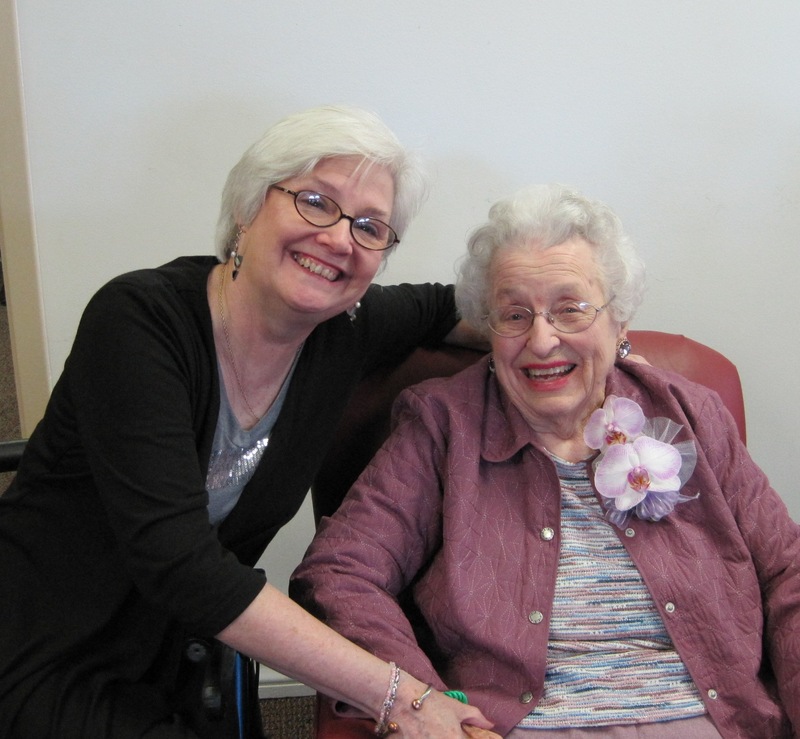 On her ninetieth birthday, the family gathered at her new home, an assisted living. It was the last time I saw her, but not the last time we talked, I’m glad to say. She was most proud of her great-grandbabies and loved to ask me how my life as a grandmother was going. She always remembered their names and parents and loved hearing about what they were doing. She had this gift of being present in the life of the people that surrounded her. Although her husband was my grandfather’s little brother, they were closer in age to my parents. When they would visit my grandparents, my mother made everything stop and we joined in the family fun with our cousins. It occurred to me that families can’t (or won’t) do that anymore. We can’t take off work, get our children out of school, or change plans already set in place just because someone comes to town to visit much less when a relative dies. I’ve been in that position, I know, and there is nothing we can do. Times are different. But isn’t that sad? In her life all of us left in the family were born and how many birthdays, weddings, and yes, funerals did she attend? How many baby gifts did she send our children and grandchildren? How many phone calls did she make; and letters did she write? Countless. But we hold no grudge for that is what families are about. And she certainly would not be unhappy with anyone who could not attend her funeral. She would be the first to understand. It is with much pride that she mentioned to her daughter the day before she died that my mother who passed away twenty-two years ago was standing in her room. What a gift to see someone who she loved and who loved her just as much. Hearing that my mother was with her in the room prompted me to leave a day early so I too could see my Aunt. I was awakened very early in the morning. At first I thought it was my daughter calling me from her bedroom, but immediately I recognized my mother’s voice saying, “Pris” waking me to get up and get on the road. It was a few hours later that I got the call from my cousin saying her mother had died peacefully.